who don’t think they need it? 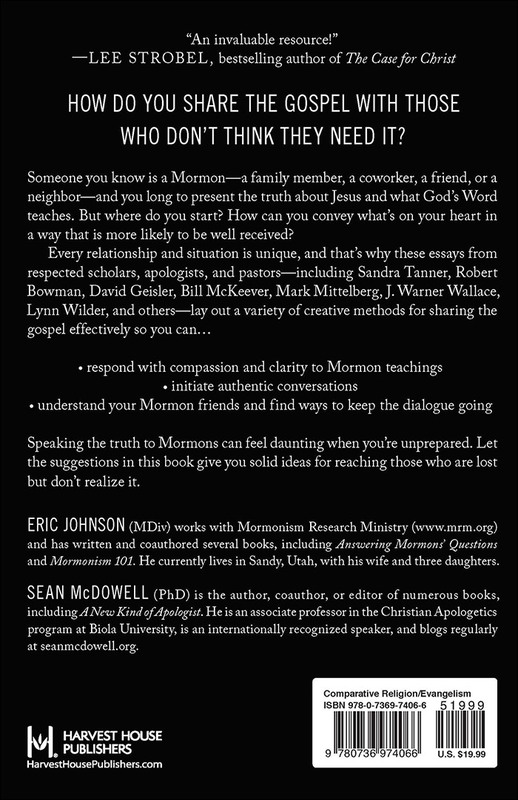 Eric Johnson (MDiv) works with Mormonism Research Ministry (www.mrm.org) and has written and coauthored several books, including Answering Mormons' Questions and Mormonism 101. He currently lives in Sandy, Utah, with his wife and three daughters. Sean McDowell (PhD) is the author, coauthor, or editor of numerous books, including A New Kind of Apologist. He is an associate professor in the Christian Apologetics program at Biola University, is an internationally recognized speaker, and blogs regularly at www.seanmcdowell.org. "I'm thrilled to see this practical book bring together a variety of voices who all have one thing in common: lovingly sharing the good news with Mormons. An invaluable resource!" 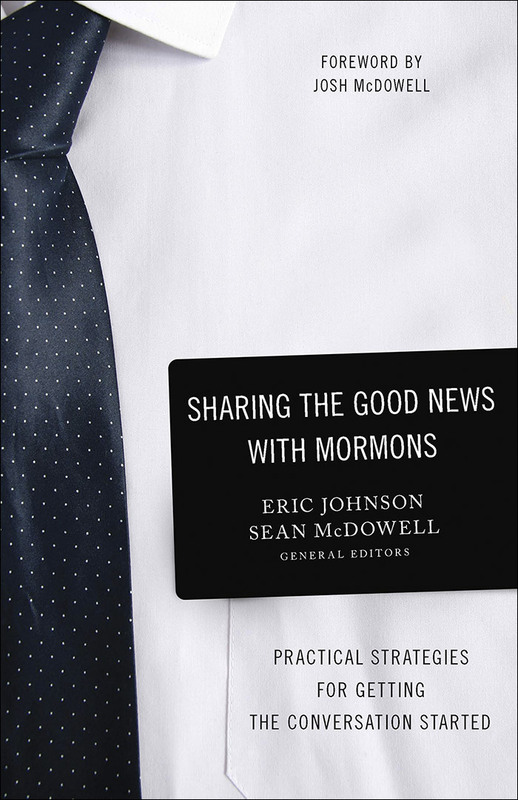 "Sharing the Good News with Mormons is an elite book—not because it is hard to understand, but because it isn't. The authors have worked hard to make things very clear and practical. I know many of them and have deep respect for their fidelity to the historic Christian faith and the effort they have exerted to know why they believe and how to communicate that with others. The book is elite because it is rich in its content, broad in the topics covered, and first rate in every way. Happily, whoever reads this book will gain tools for communicating the gospel in all kinds of situations and to people outside of Mormonism as well. Get this book, study it, and share it with others." "The many creative and friendly approaches explored in this book eliminate the intimidation of sharing with Mormons. Each way is unique and is explained by contributors who have long practiced what they preach. Highly recommended!" "The book you hold in your hands represents an unprecedented treasury of practical wisdom and advice on how to share your faith in Jesus Christ with Later-day Saints. Far from offering a one-size-fits-all approach to reaching Mormons for Christ, the contributors share a range of approaches they have developed over many years of effective, on-the-ground evangelistic interaction. It is a 'tactical toolbox' from which you may explore a range of approaches in search of the one (or more) that works best for you. During and after my time as a seminary professor in Utah I came to know and trust many of the contributors to this volume, and I can honestly say that a better and more credible collection of contributors can hardly be imagined." "This jewel has enough facets to equip each of us for reaching Mormons, and those who leave the Mormon church, with commonsense twenty-first-century tools. Experts in their field have teamed up with general editors Eric Johnson and Sean McDowell to provide an informative work filled with practical training, riveting testimonies, and sound apologetics. Well done!"